There is power in a team. Max is blessed receive incredible support from his local community. An amazing group of people have stepped up to offer ideas, resources and personal time to help us generate the funds we need. We have a group on Facebook for these friends who are hands on helping us do the business of fundraising. Why don’t you join Team Max on the inside? The only criteria is that you promise to have fun while you’re at it! 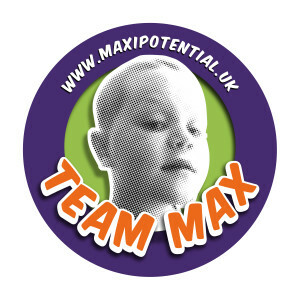 Just click here to find Team Max on Facebook. If you’d rather be involved at more of a distance you can follow us via our Maxipotenial social media profiles.